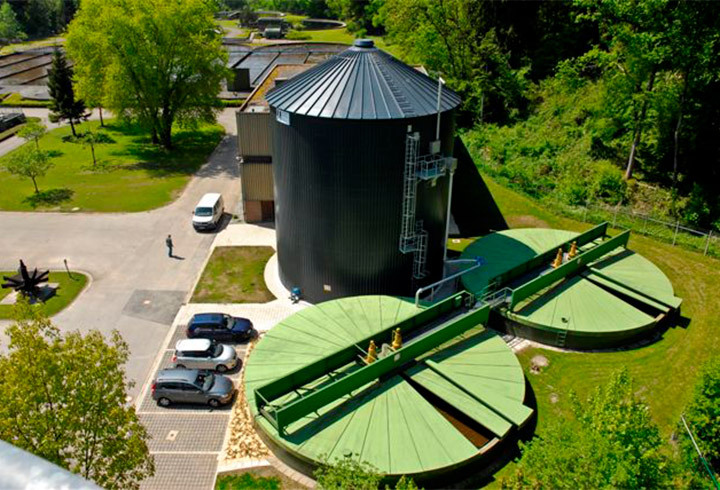 Industry: biogas from anaerobic waste water treatment and waste fermentation plants. 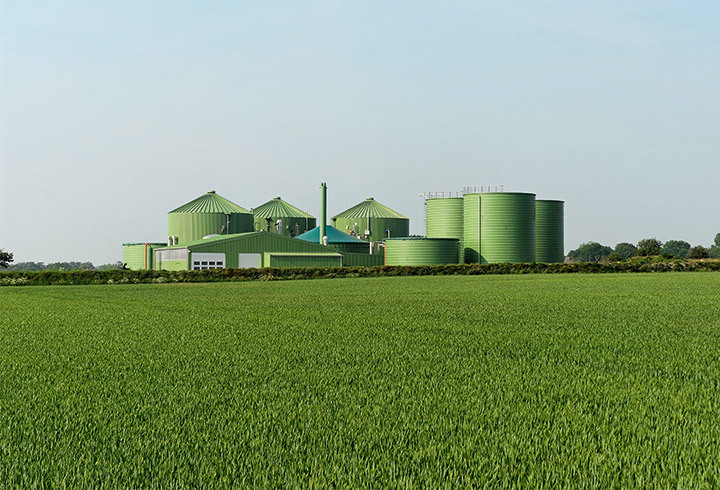 Due to their technical characteristics and profitability, Lipp tank and system solutions are used in a variety of industrial biogas plants. Two areas of application can be distinguished, which in many cases also follow both objectives. First, the anaerobic treatment of various industrial waste waters, such as in food production, biofuels or similar. The main objective here is the anaerobic pretreatment of highly contaminated but easily degradable waste water to reduce the COD load before it can go to the next stage of aerobic waste water treatment. The challenge is that in spite of the low DM content, a high degree of degradation is achieved by biomass retention or return and at the same time, biogas is produced. Due to the flexibility and variability of the Lipp system in terms of procedures, vessel geometry and tank material, it is possible to make this process, as well as subsequent processes, efficient and therefore economic. Secondly, the waste fermentation plant area, where, for example, food waste, slaughterhouse waste and the organic components of residual waste are converted to biogas in the anaerobic process. Thanks to wide experience from past projects, Lipp knows the challenges and can thus plan in advance for the appropriate process technology, suitable container technology and the right dimensions. Treatment and use of sewage sludge, specially tailored to municipal requirements. Container and system solutions for the process industry, e.g. plant construction, pharmaceuticals and breweries. Buffer accumulator for storing heat. System Solutions for industrial bulk storage.